In the first instalment of a two-part interview discussing his book, 'Chavs' author Owen Jones talks to Ceasefire's Andrew Fleming. In the first instalment of a two-part interview discussing his book, ‘Chavs’ author Owen Jones talks to Ceasefire’s Andrew Fleming. 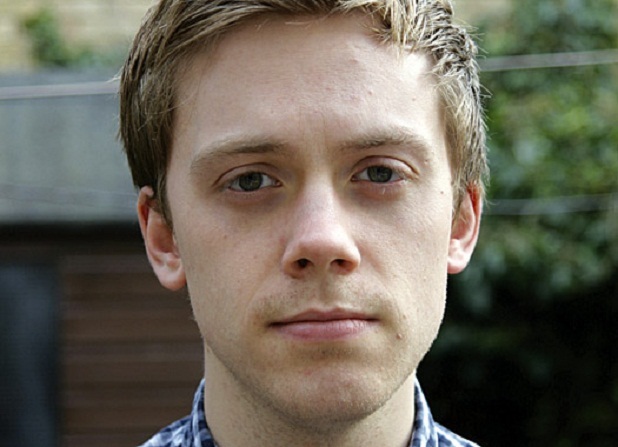 Owen Jones: Well, I interviewed the head of the Oxford University Conservative Association, who was an Old Etonian, and he felt that the word was widespread among his peers, certainly people who went to Eton and people who he hung out with; and he had a big problem with it, to his credit. He felt it was a class-laden term and he felt it was people from very fortunate backgrounds mocking, ridiculing, and sneering at people who weren’t. But although the book obviously looks at the ‘chav’ thing, it’s not so much about the word, it’s about the caricature, the approach: the idea that we’re all middle-class now, and the old working-class is just feckless, white working-class, living on sink estates and swilling beer when they’re not taking benefits or voting BNP. That’s what it looks at; that view, that perspective that everyone’s middle class apart from this degenerate rump. CF: I agree that all of the underlying class prejudices are still there, but maybe they’re starting to be expressed slightly differently? OJ: Well, they’re expressed in all sorts of ways. But that’s the thing; when I interviewed Simon Heffner, who’s obviously a right-wing journalist at the Telegraph, he’d never dream of using the word ‘chav,’ but he put it to me that what we used to call the respectable working-class doesn’t exist any more, and what we used to call the working class doesn’t work at all, and is dependent on the welfare state. And for me that’s still kind of a ‘chav’ caricature, the idea that the old working class has degenerated and either it’s become middle class or it’s become this feckless rump. So the way it’s expressed…it’s more about that kind of caricature, whether or not people use that term or not, and the way it’s become possible for wider society to sneer at people who are unprivileged in a way that people probably wouldn’t in a way that’s sexist, homophobic or racist. CF: I see what you mean that it’s not necessarily about the cultural idea of a ‘chav’, but I think one of the really interesting things in the book that came out particularly when you were talking about the Shannon Matthews case – and this is an idea that’s culturally expressed – is the idea that you can’t really be in dialogue with this feckless rump, you can’t engage with it or talk to it, it’s just there and fights and breeds – as you said just now, you sneer at it but don’t really engage with it. OJ: Exactly, and some of the journalists, to their credit, who went to Dewsbury Moor said it was like reporting in Afghanistan as far as they were concerned. It was like entering a foreign country, and they just simply couldn’t relate to the people that lived there. And they’d never mix with these people, they’d never socialised with people from those backgrounds. so they had quite a caricatured view of them, there was that lack of understanding; and that’s why they themselves often resorted to caricature, so that entire community was attacked as a Shameless-style community. There was sneering at the fact that so many people came outside in their dressing-gowns; one newspaper compared it to the crisis in Beirut, as though people walking outside in their dressing-gowns is equivalent to a civil war that devastated a city and killed thousands of people, which is bizarre. But that community had actually come together, had put in a huge amount of effort to find her, a young girl that they felt in good faith had been abducted just like everyone else did. They made leaflets, they spent huge amounts fundraising, and most of them were in work – most of them in quite insecure work, perhaps in supermarkets in particular. This is a community that once depended on textiles, but the textile industry had collapsed from the seventies onwards. And yet they were attacked and caricatured in quite an aggressive way by the media. Karen Mattews and the wider community were used as a template for ‘this is what these people are like’ – Iain Duncan Smith, in his capacity as head of the Centre for Social Justice, came out and said that this has opened our eyes into the other Britain and then used it to justify reforms to council housing: to reward people in council houses for good behaviour, so-called, by giving them a stake in their property – as though there was a connection between Karen Matthews and the ten million people who live in social housing in this country. So it was the way it was used – the idea that this is the tip of an iceberg, this is what non-Middle England is really like, when actually Karen Matthews was only representative of herself. She didn’t represent any community. It was the idea again, people going on about how many children she’d had by how many fathers, and the idea again that the poor were breeding, out of control, at taxpayers’ expense. Jeremy Hunt, before the election, spoke about this – he said that these large families being funded at the taxpayer’s expense had to be stopped, and this taps into the image of the feckless single mum, perhaps like Karen Matthews, whereas if you actually look at families on long-term benefits only 3.4% are families of four or larger. So it’s a caricature, but one that resonates with people, and one they tapped into, and when they get a case study – as they see it – in Karen Matthews, they use that as a case study when it isn’t actually indicative of anything. OJ: Well, liberal bigotry, firstly – I think another example of liberal bigotry is with regards to Islamophobia, in which Muslims are assailed in terms of being homophobic and so on, and that being justification for being prejudiced against Muslims as a community, for bashing Muslims, and unfortunately a number of liberal commentators have fallen into that trap. The idea of a white working-class which is racist – Yasmin Alabai-Brown in the Independent is an example of that – she talks about the white working class being racist, she calls them slobs, and that it’s immigrants like me, she says, who come and work hard while they sit around watching Jeremy Kyle. And that’s an example of liberal bigotry – she’s justifying her contempt for people who are less fortunate than herself on the basis that they are themselves bigoted. But in terms of Hillsborough, I think that was a huge turning point, I think it was a culmination of years of anti-working class sentiment which built up under Thatcherism, and Scousers really were on the receiving end of that – Liverpool was a city devastated by Thatcherism, huge numbers of people thrown out of work, and then you’ve got this idea of the feckless scouse criminal projected onto that. OJ: Well, This Is England is interesting, though it’s obviously looking at Nottinghamshire. Shane Meadows I’ve got a lot of time for; but when you get positive images of working-class culture…This Is England is obviously looking at this bygone working-class era – and Made In Dagenham is another example going back even further, to 1968 – where you’ll get a positive representation of working-class people, but you have to go back to 1968 to see it; it’s almost making a contrast, to when there was this working-class glory age. And This Is England is looking at the early 1980s, nearly three decades ago now, and it’s looking at working-class Britain which was suffering – and it looks at it in quite a subtle way – but a working-class Britain that was suffering at the hands of Thatcherism, a lack of work, a community which was more fragmented, as well as the difficult transition into adulthood, which had become even more difficult because of deindustrialisation. So again, Shane Meadows is a good example of positive representations of working-class people on TV, but again there’s this idea that you have to go back in time to see it. CF: OK, maybe moving away slightly from the culture expressions of – I’m going to stop using the word ‘chav,’ and just say ‘the denigrated working-class’ instead – at the end of the book you put a lot of hope in the prospect of a louder working-class voice in the idea of a broader-based and revitalised trade union movement. How much hope do you have for that taking place? OJ: It’s not simple. It’s not straightforward at all. Union membership peaked in 1979 when over half of public sector workers were members of unions. Now, the key problem is the service sector; and obviously the anti-union laws have a role to play in that, but the unions themselves were broken by mass unemployment in the 1980s. Mass unemployment doesn’t breed militancy, because if you’ve got four million unemployed you’ve got another four million who are terrified of losing their jobs. That had a big role in terms of undermining union power; but there is a problem in the service sector, from the perspective of union membership, because you’ve got a much higher turnover, you don’t have communities based around it, it’s not passed on from generation to generation, and there are much higher levels of part-time and temporary work, which makes it much harder to recruit. These ties of solidarity are weaker in the service sector. OJ: Well, there was a poll done of non-unionised workers, and generally their opinion was actually quite positive towards unions. And interestingly the polls that have come out a few weeks ago on the public sector strikes, which show that 48% of people think that the unions are right to strike to defend their pensions, which shows there is still sympathy in society towards unions; but there is a sense of ‘why do I spend money on them, what are they going to do for me?’ And I know people who I’ve worked with, and who now work in shops and they don’t really know what a union is. The idea is so alien to that culture, in that workplace culture there’s just no sense of their relevance. OJ: Well, I think the government has been very good at that divide and rule strategy of public sector versus private sector workers – they’ll overegg this idea of public sector workers having gold-plated pensions, which just isn’t true at all, but obviously it taps into this resentment because the private sector’s lost a lot of those rights that public sector workers still have. Obviously the left-wing critique of that is to oppose that race to the bottom – that it’s not about dragging public sector rights down, but to improve the conditions of private sector workers so there’s parity, and all workers have those same rights and benefits. Obviously the government can exploit that, and does exploit it very successfully. But still there’s fairly broad public sympathy, actually, for public sector workers on that basis – public sector pensions are going to go down as a percentage of GDP over the next few years, and basically what they want to do is impose a tax, effectively, on public sector workers to pay off the deficit. That’s what happens in terms of increasing their pension contributions, that’s where those contributions will go – straight to the treasury to pay off the deficit. That said, obviously it’s true that whilst trade union membership remains part of workplace culture in the public sector, it just doesn’t in the private sector – in 85% of the private sector, unions do not exist, they are an alien concept. Unions have to adapt – the survival of the union movement depends on an aggressive recruitment strategy, and a whole new organising model to deal with that fragmented, high-turnover service sector, but also to broaden out – they’re portrayed by the government as sectional interests that just stand up for their own members, and rather they have to speak for working people. though when they do that, they’ll be attacked for going outside their remit, so they can’t win. CF: Nonetheless, do you have hope in that happening? OJ: I think there has to be a change, whether or not a lot of the union leaders have to be got rid of; there is a problem with the union bureaucracy, I think, which is fairly conservative. There are few incentives, from their personal perspective, to go on aggressive recruitment drives rather than living fairly satisfying lives as well-paid union bureaucrats. So in that sense, there has to be a struggle within the union movement, because there’s no future for trade unionism if they don’t engage the service sector. The service sector is the new working class, and it’s expanding. We’ll see what happens – they’ll try to break the unions at their last redoubt, the public sector, and unions – for the sake of their own survival – have to adapt to that, aggressively change and recruit in the service sector. Am I hopeful of that happening? Well, I’m an eternal optimist. Part two of the interview will be published next week. 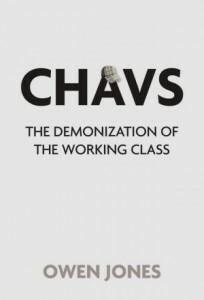 ‘Chavs: The demonization of the working class”, is reviewed here. Excellent interview, some very interesting points. The divide and rule strategy which has the press lambasting public sector workers for striking to preserve the bare minimum they are entitled to “while the rest of us suffer” is ridiculous but judging by what some of the people I’ve spoken to have said it is doing the trick. I remember the “underclass” discourse being around since the days of Thatcher, but it seems to have become hegmonic nowadays. This interview makes me think again about the repressive measures which have been brought in, ASBOs and so on, and the extent to which they both draw on and construct the image of a feckless underclass. When these measures started appearing, I expected a fightback because everyone’s human rights and social/welfare conditions were at risk. I was expecting liberals to be up in arms from the human rights angle, and social-democrats from the welfare angle. But it seems to have been widely embraced, because it’s being put down as ‘only’ directed at ‘chavs’. Much the same way that people accept police-state measures directed ‘only’ at ethnic minorities. It almost seems to be a racialisation of class, the extension of the race exception. Which maybe is a return to where prejudice was situated before it became racialised to begin with. I wonder how it’s going to be fought, though. The problem is that a lot of working-class people ARE racist, authoritarian and indeed, support a lot of the measures directed against them – ASBO’s and crime crackdowns get a lot of support in working-class areas, otherwise they wouldn’t be able to work. I’m increasingly frustrated with the leftist view that, if only working-class communities empower themselves, things will get better – because when we see this happen, with initiatives like the IWCA, it ends up back with the same anti-working-class prejudice, but expressed by the working-class themselves! How do we deal with the fact that it isn’t just middle-class prejudice against working-class people, but also the working-class being incited to prejudice against itself? It is the liberal upper middle class who fail to understand that in many working class communities people face an immediate threat of violence or damage to their property on a daily basis, therefore they need short-term measures to deal with this while the long-term problems are being dealt with. That is why the working class are authoritarian because they have to face these problems every day. I don’t think extra repressive state measures actually need to be brought in against communities, but rather communities themselves need to be allowed to deal with low-level crime and anti-social behaviour themselves (e.g. isolating problem neighbours and drug-dealers). Btw: The IWCA is pro-working class, not anti-working class. It is the only left-wing organisation out there which can truly be said to have a genuinely working class base. That is why it has picked up more support and had more success than any other orthodox Trotskyite group ever will. I am very close to joining the IWCA myself. Much as i feel this was an excelent well written and insightful article that in many ways got to the core of the issues raised, i have to say that in today’s world, to define people and areas of life in terms of ‘class’ is misleading and devisive. It makes and indeed scores points, but are they the right ones, and do they lead us up a blind alley of reverse prejudice and dis-information. The real question is, does class today even exist, i personaly think not, like the term ‘race’ it is highly misleading, to define, or for people to define themselves in terms of ‘race’ is a gross innacuracy, there is no ‘black culture’ any more than there is a ‘white culture’ or indeed a brown or pink one! The same applies to ‘class’ it simply does not exist, perhaps it once did, but even then i feel it was a self perpetuating myth, and i certainly do not accept the ‘we are all middle class now’ argument, which is more than foolish and simply reinforces divisons and prejudice. I live in Notting Hill, an area with such a wonderful and inspiring cultural diversity that, like so much of London today, serves as a model of hope for what could perhaps be the almost unnoticed new cultural revolution! From dope dealers, rock stars, eccentric buddhists and new agers, to hoodies and professors of philosophy, every single diversity and ‘way of being’ is represented here, and indeed practicaly in the whole of London, More than any other city in the world, every language, ‘colour’ culture, and belief system, live and co-exist in this city, and, most of the time people get along very well indeed, certainly where i live, which as i say is about as culturaly mixed as it gets! There is therefore hope! and certainly once people are simply able to accept who and what they, and others are, and transcend the categories others have placed them in, then, they are in a sense ‘free’! When i talk to my neighbours, council house dwellers or ‘trustafarians’, i don’t see class or colour, i simply see people!!! and this! THIS! is the wonderful cultural diversity of London! Life is not, nor will it ever be perfect, there will always be people who are poor, noty very bright, violent, aggresive or simply stupid, and we must try to be compassionate, when faced with what we may often instinctively find distasteful or even intimidating! and when we strip away all the political correctness and ‘community worker’ agenda’s, we may find that people can simply get on with their lives and each other, without being classified, categorised and objectified. The media is equally guilty of these ‘cultural cliches’ with nonsense like ‘Essex’ and the appaling Big Brother, XFactor etc, all of which ‘objectify’ and celebrate ‘ banality as something to be proud off’! It should equally be born in mind that not all hoodies are psycopaths, any more than all buddhists are nice! Simply put! there is no such thing as ‘Chavs’ or ‘Hoodies’ there is no ‘Black or White Culture’ and no Middle or Working Class’! This type of thing is outdated cultural bagage that writers and media pundits seek to enhance their carreers with! Try looking at the positive rather than the negative! perhaps what we really need is a ‘good new station’ surpringly, there is, in small and seeminly quite insignificant ways actually quite a lot to be thankful for!